If you want to take full advantage of your next South American adventure, rent a set of wheels. Only then can you truly get lost among the glaciers, and the beaches, and the rainforests, and the deserts, and the lakes, and the mountains and the... you see where we're going here, right? There's a lot of gorgeous scenery to get lost in if you have a car. Before you go, though, you need a plan. First, know the basics of renting a car in a foreign country. (Tip number-one: don’t expect to drive an automatic, unless you want to pay a premium.) Second, budget for fuel prices, as they vary from country to country and can range from $1.48 (Ecuador) to $5.22 (Uruguay) per gallon. Third, know where the hell you're going. And that's where we come in. We've mapped out five of the most scenic road trips on the entire South American continent. So, buckle up for an adventure that's only limited by the roadway ahead. Why it made our list: South Americans head to Uruguay from December to February for summer sun, surf, and parties that stretch into the early hours of the morning. While most of the activity centers around the city of Punta Del Este, there’s also plenty of other seaside towns worth visiting. A journey along Route 10 will take you to the party-centric beaches of La Barra, the ultra-exclusive paradors of José Ignacio, and to a number of surfside shacks in Punta del Diablo. Start in Montevideo, Uruguay: Most major airlines and rental car companies operate out of Uruguay's capital city Montevideo, and it’s just a three-hour drive to Punta Del Este. Pit stop: Order up a chivito at Rex Diner in La Barra. This sandwich is a Uruguayan staple and is served three different ways at Rex -- the Chivito Completo with jam, pancetta, and a fried egg. 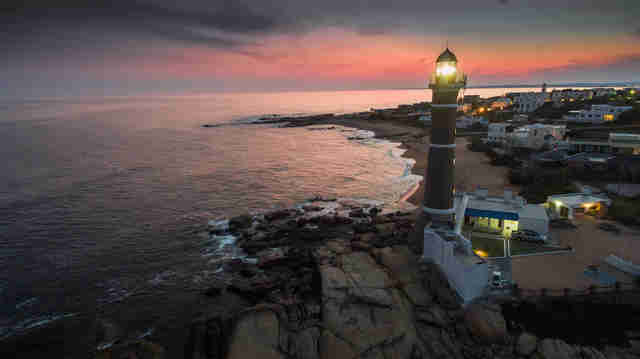 Detour: Continue up the Uruguayan coast and plan an overnight in the posh resort town of José Ignacio. The town convenes at the beach-side parador, La Huella, which features open fire pits and parrilla barbecue from chefs Alejandro Morales and Vanessa González. End in Punta del Diablo, Uruguay: This is the last beach town in Uruguay, and it has quickly turned from a quiet fishing village into a surfer’s paradise with a distinctly Californian vibe. Dangers: This drive is relatively easy and risk free. Just beware of “alta” season pricing on rental cars -- during the summer’s high season, prices can surge to meet demand. 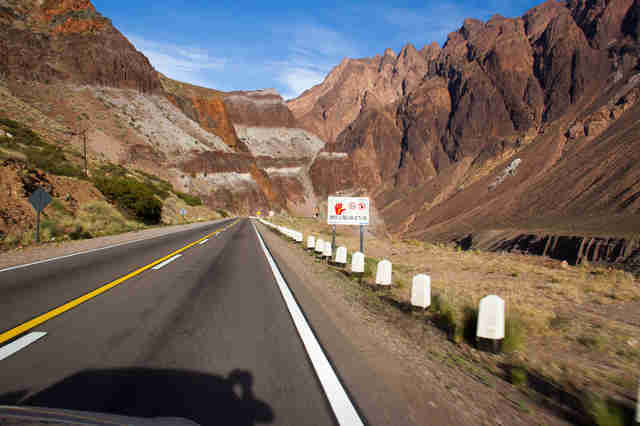 Why it made our list: Argentina’s famed National Route 40 stretches the entire length of the country. 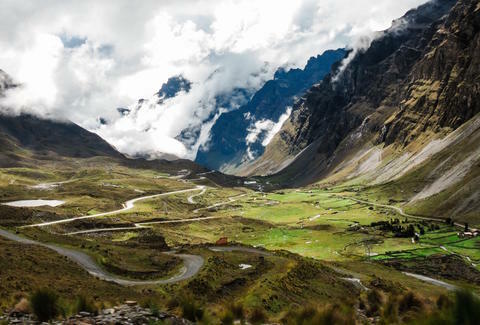 This road trip takes you from massive glaciers to some of the highest peaks in South America. It’s one stunning view after the next. Start in El Calafate, Argentina: There are a number of connecting flights and rental car companies that allow for quick access to the Patagonia region. El Calafate is the launching point for many and the town is a central hub for tour guide companies. Pit stop: Lose yourself on Patagonia National Route 40 for a few hours. This is a highway of scenic wonder, where rivers, lakes, and mountains frame your point-of-view. Just remember to fuel-up before you go; there are hardly any pit stops here, except for a parador or hotel scattered every couple hundred miles. Detour: Perito Moreno Glacier, located in Los Glaciares National Park, is an hour's drive west of El Calafate and well worth the detour. 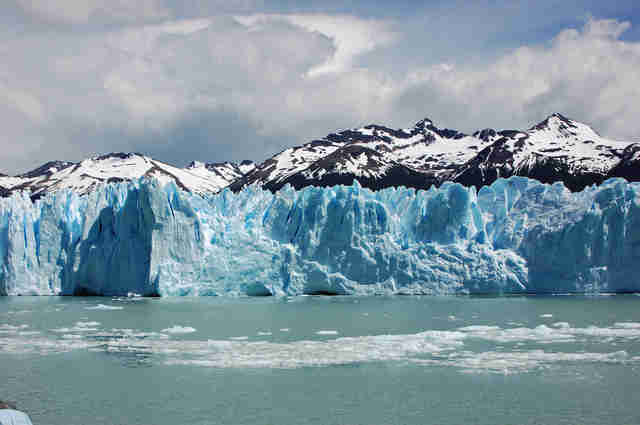 The glacier is one of 48 fed by the Southern Patagonian Ice Field. From the observations decks, you can sit and watch chunks of the ice fall into Lake Argentina. And if you plan ahead with a tour guide company, you can even trek on top of the glacier. End in El Chaltén, Argentina: Mount Fitz Roy is a backpacker’s paradise. There are numerous hikes and campsites to explore, including some in close proximity to glaciers. You’ll want to time your visit in the summer (December to March), when temperatures are seasonal and the sun sets after 9 p.m. Dangers: Be prepared -- Patagonia’s National Route 40 offers little in the way of relief. Make sure your car has a full tank of gas and a spare tire in case of roadside emergency. For secondary roads along Route 40, you might also need four-wheel drive to navigate. Why it made our list: Sure, it’s an easy flight from Santiago, Chile, to Mendoza, Argentina, but where’s the fun in that? If you plan this trip right, you’ll encounter a winding adventure through the highest reaches of the Andes Mountains and end up in the valley of vino. Start in Santiago, Chile: From the capital city of Chile, you can easily conquer this road trip in three to four days. Be sure to contact your rental car company early, and let them know that you’ll be taking the car out of the country, which requires special insurance. Pit stop: The village of Uspallata, Argentina, is a popular place to take a rest after the journey through the Andes. This desert valley town has both the fuel and food you’ll need to continue on to Mendoza. End in Mendoza, Argentina: The city has a relaxed vibe, and you may want to extend your stay in order to visit the vineyards that surround the city. Other outdoor adventures include biking, rafting, and skiing. Dangers: Keep in mind the weather. During the winter, this roadway can be hard to pass. Also, pay attention to the speed limit -- there are several switchback turns and some one-lane passing. It’s also a trip that you have to plan in advance, otherwise you might be turned around at the border. To cross into Argentina, you’ll need a notarized letter of permission from your rental company, as well as a special type of insurance that covers the trip. Make sure to carry these documents with you, as well as a valid passport and driver’s license. And, be sure to research the reciprocity fees and customs forms needed to enter and leave the country. Why it made our list: While people flock to Peru mainly for Machu Picchu, there are several natural wonders to be found in the southern reaches of the country, including active volcanoes, island villages, and Lake Titicaca, the highest lake in the world at some 12,500 ft. above sea level. Start in Arequipa, Peru: This charming colonial city has plenty of options for connecting flights and rental car companies. The trip starts in the foothills of volcanoes and heads west through the high plains desert. Pit stop: Stop along the road to gawk at volcanic formations that surround Arequipa, including Misti, a stratovolcano that stands tall at 19,000 feet. Detour: It’s a guided boat tour from Puno, but you won’t want to miss a trip to the Island of Taquile. Crystal clear water surrounds this one-mile island, and Taquileños, the island’s inhabitants, are known for cultural crafts and artwork. End in Puno, Peru: A vibrant city located by South America’s largest lake. 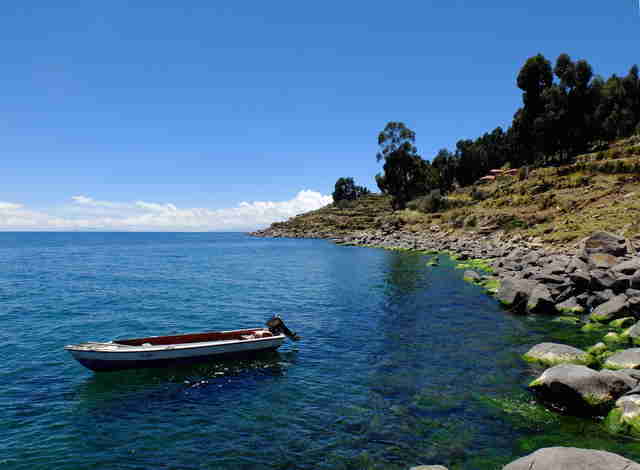 It’s a jumping off point for day tours on Lake Titicaca, including the floating islands. Dangers: Beware of altitude sickness. Puno sits at an elevation of nearly 13,000 feet, which means just walking around will tire you out. Take time to rest and drink plenty water and fluids to get acclimated to the elevation. Why it made our list: For the thrill seeker on two wheels, this road takes it to the extreme. The North Yungas Road, or “Death Road,” is a 43-mile highway that runs from the Amazon rainforest to Bolivia’s high plains. This trip is not for the faint of heart. You’ll want to use a tour guide to play it safe, and keep in mind that this single lane road features steep drop-offs and the potential for mud and rock slides. Start in Coroico: This small village is at the top of this highway, and it’s a downhill ride, some 11,000 feet below. Pit stop: While some trucks and cars travel the road, it mostly sits empty for mountain bikers. If you want to give it a ride, use an organized tour group, or else your pit stop might turn into a 400-foot fall. End in La Paz, Bolivia: Before reaching Bolivia’s capital, you’ll pass by scenic waterfalls and rainforest landscapes. Dangers: It’s been dubbed the world’s most dangerous road for a reason. So if you’re going to take this journey, don't be a damn fool -- again, use a reputable tour guide and ride safe. Tim Ebner is a food and travel writer based in Washington, DC. For more travel tips, follow him on Twitter @TimEbner.